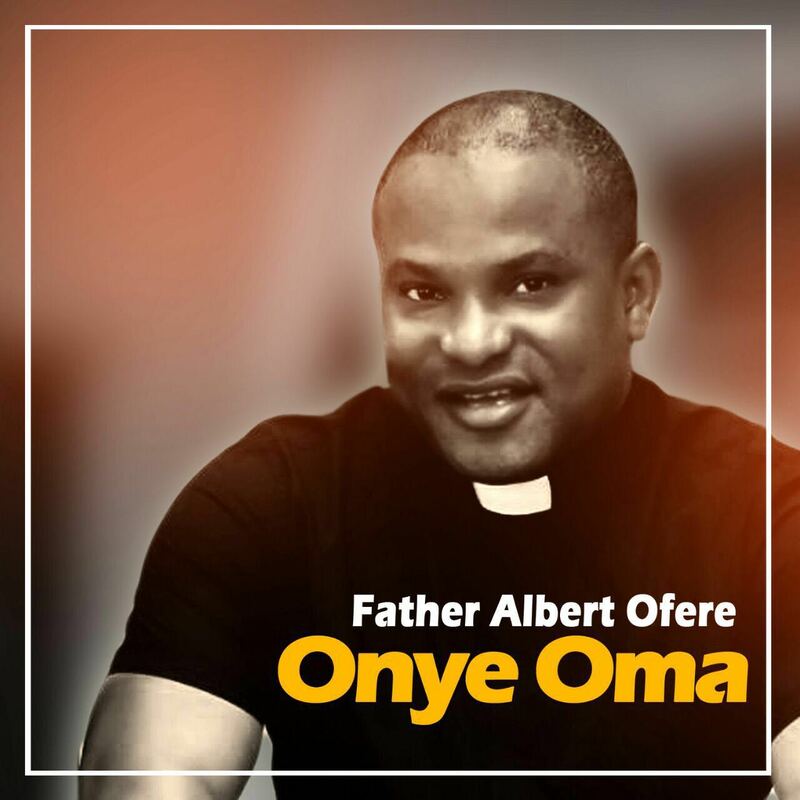 Reverend Father Albert Ofere is a Catholic priest from the Catholic diocese of Warri, currently based in the UK. His love for music has made music so handy for him while exercising his ministry as a priest. His new song ‘Onye Oma‘ dedicated to Jesus in the Holy Eucharist is meant to expose and teach people about the greatness, power and efficacy of the Sacrament of the Holy Eucharist, the centre of Catholic worship. Indeed we have a great source of strength and power in this Sacrament. Try it and you will never be disappointed. Just before this new song the ever smiling priest recently demonstrated his love for praising God using music in a lovely tune,bringing Nigeria’s hottest high life ki‎ng “FLAVOUR” on a gospel song, ‘God Dey My Side’ (remix), showing there’s no gap between d secular musicians and gospel singers‎. We are all God’s children indeed. Flavour demonstrates his flexibility as a complete musician on this very lovely and dancable tune. UK based Nigerian artiste Olukemi Funke premieres the official music video for another song off her debut album “Fruit Of My Lips” released last November. This one is titled AWESOME GOD. A brilliantly produced mid tempo praise tune. There is a King who heaven and earth adores and all angels bow to worship. His name is “IGWE”. The King of kings and the Lord of lords. “IGWE” is a soul lifting worship tune that will lead the listeners directly to the presence of the Lord is they worship along. This song will definitely ignite a fire of revival in the body of Christ, bringing healings, miracles and diverse testimonies. Download, listen, get blessed and remember to share! The wait is over! Isabella makes yet another simple but powerful statement with “Jesus Be Lifted Higher” video: a clean and fresh contemporary video which drives home the message of the Lordship of Jesus Christ and the depth of His love. Jesus says “If I be lifted up from the earth, I will draw all men to me”. Isabella continues to make great strides with her undeniably remarkable gift of songwriting and signatory spirit of excellence in her work. She has become one of the most consistent and recognizable faces in African Gospel music scene with a string of anointed worship songs that draws down heaven’s atmosphere and manifests the tangible presence of God. Watch & enjoy and be blessed by “Jesus Be Lifted Higher” which is deep and yet simple enough for your personal as well as corporate worship. Noella, an anointed minister, who just released a video few months ago for her song “Who am I” (mortal man, awesome God), is here again with yet another another song. Noella features Tjay David in this brand new single “Spirit of God”. It is not just a song of prayer and worship, it is prophetic; a song of power! You will never get enough of it! The producer of the song is the skilled and graced Sampro. 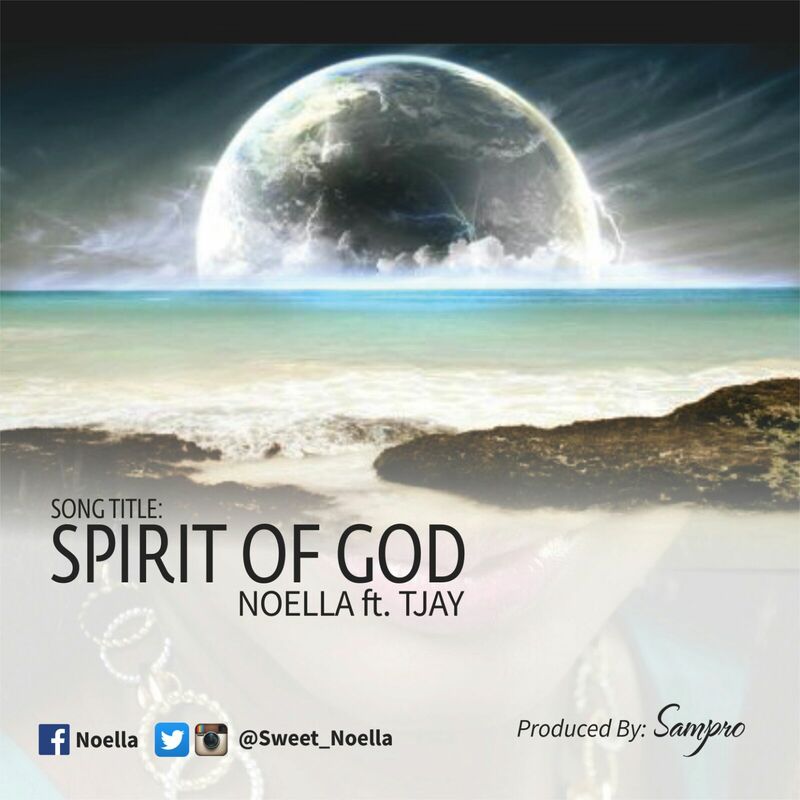 “SPIRIT OF GOD” LYRICS (Noella ft Tjay). Solagbade Sola, one of the fast rising gospel music sensations in Lagos, will stop at nothing to continue with the movement of preaching the gospel with her songs. Following the release of her fourth album, which recently hit the shelves, the singer releases the video of ‘My year of Harvest’, a track from her new album. Solagbade Sola, who is revealed to have realized her passion for music at a tender age, wasted no time in pursuing it. My Year Of Harvest was shot by South Africa-trained music video director, Oluyinka Davids, owner, CEO iFocus Pictures. As a prelude to the release of her sixth studio album in November, renowned International Gospel Recording Artist and Europe’s leading lady of Gospel music, Isabella, is treating Gospel music lovers to a taste of her power packed contemporary worship album by releasing the official video to “Jesus Is Here”. The release of Isabella’s latest video comes with a surprise announcement of her signing to the reputable UK based artist agency, Roy Francis Productions which specialises in artiste development by working with artistes who show real talent, have a strong social media presence and are willing to work in new and creative ways to achieve success in a niche digital market-place. RFP partners with Lone Oak Entertainment, one of the leading gospel music agencies in the United States with a roster of top gospel artistes including, Marvin Sapp, VaShawn Mitchell, Williams McDowell, Martha Munizzi, Kurt Carr & the Kurt Car singers, J Moss and Jonathan Butler among others. RFP also works with other leading UK Gospel artists like Muyiwa, Lurine Cato and more. The acclaimed BEFFTA & AGMA multi-award winning UK-based Psalmist, who has also won Best Female Artist in Diaspora for three years in a row, is one of the most highly demanded African music ministers with wings spread far beyond the UK shores. Her passion for God and the Gospel oozes through everything she does, and she expresses excitement at these latest developments. Highly respected for her prolific songwriting skills, Isabella does not disappoint with the impressive sights and sounds of Jesus Is Here. Shot in the beautiful English countryside of Oxfordshire with its luscious greeneries and luxurious stately homes, Jesus Is Here is simply a “statement of reality” for Isabella. Jesus Is Here was produced by the MOBO Awarding winning Evans Ogboi and the epic video was directed by the legendary Uvi Orogun aka The Video Man!